Steven Wright returns with a new comedy album after a long time off the record. 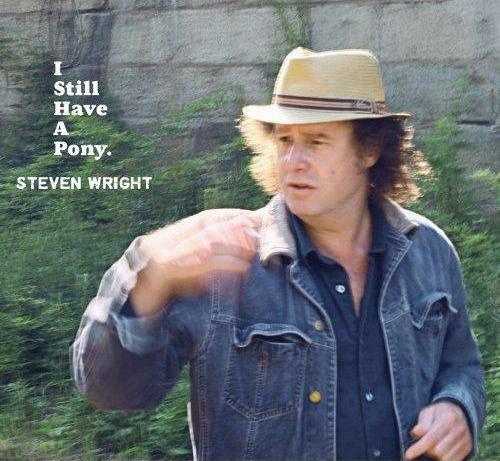 After a long absence, influential stand-up comedian Steven Wright has returned in recent years with more prominent live appearances, and now a new CD, “I Still Have A Pony,” in stores September 25. The title is a reference to his 1980s album, “I Have A Pony.” The sequel, 20 years in coming, is actually very similar in material to the DVD that Wright released earlier this year, “When The Leaves Blow Away.” When similar material is released in different formats, it does deserve a warning to fans, but Wright’s work is so unique in its elliptical path to punch lines that the CD is still worth getting -- if you don’t already have the DVD. Wright’s genius is spinning the little pieces of life on their head, and this latest album is even more skewed than he’s been before on record and on video or TV specials. Age has taken him to an even more remote plane, and we’re just trying to catch up.